If your reading life could use a little more dark and twisted, you’ve come to the right place. Murder and Mayhem is a new recurring feature in which I talk about some of the mysteries and thrillers I’ve read recently. Dust off your magnifying glass, don your deerstalker cap, and get ready to fly through these page-turning reads. This time around I’ve got paranoia in a biology lab, murder and intrigue in a posh, post-WWI veterans’ club, and a journey from a psych ward into the wilderness! Nobody does creepy like Megan Abbott! She’s the master of scenes that make your skin crawl. Even when nothing is obviously amiss, with each page there’s a growing sense that something is wrong, characters aren’t what they seem, and the version of events on the page may not be what actually happened. And don’t ever trust her narrators—in this case, Kit, a high-achieving academic working in a lab. When Diane, a person from Kit’s past, joins the lab, Kit is completely thrown. She and Diane have what you might call a complicated history, one that Kit decidedly does not want to revisit. When Kit finds out she and Diane will be competing for a spot on a prestigious research study run by their enigmatic and mercurial mentor, Kit’s paranoia balloons out of control, with disastrous and bloody consequences. And if you’re not sold on tension alone, Abbott also provides a lot to mull over with respect to women in the sciences and what it takes to earn a spot and keep it. 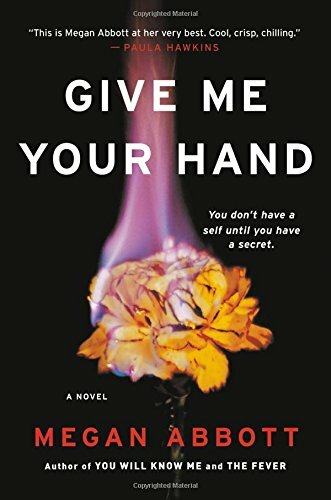 Give Me Your Hand is dark, disturbing, and delightfully feminist. Charming and delightful aren’t necessarily words I expect to ascribe to murder mysteries, but I was thoroughly smitten by this historical novel. 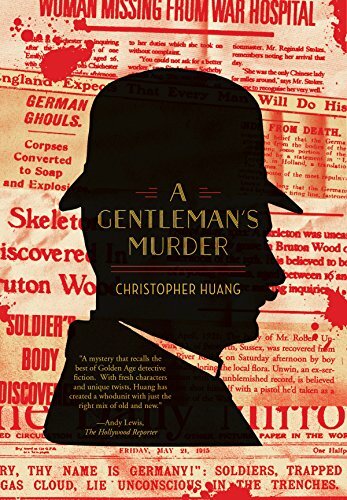 It’s not a cozy mystery, in fact it deals with some heavy themes of war and PTSD, but Huang’s amateur detective Eric Peterkin has a quiet wit about him that you won’t be able to resist. The son of a white father and Chinese mother, Peterkin is sometimes forced to the outside of British high society despite his service in World War I, and thus his membership in an elite club for veterans is a prized feather in his cap. When a murder takes place at his beloved club and the police investigation doesn’t seem quite on the level, Peterkin decides to do a little investigating on his own, with the help of an irreverent, tarot-reading friend and his plucky sister. The historical detail, the well-crafted plot, and the satisfying denouement would be enough for any mystery lover, but the layers to Peterkin’s character make me hopeful this will be the first in a long series. Don’t miss the lengthy afterword, in which Huang gives a fascinating glimpse into his inspiration and creative process. 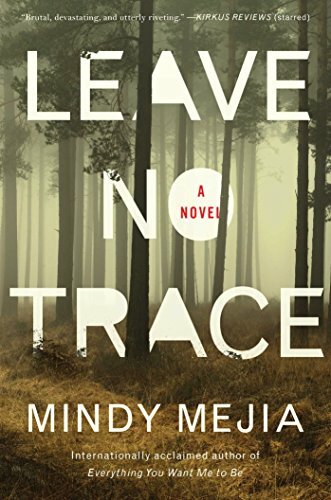 Mejia writes the kind of thrillers that are fun to read as long as you don’t think about them too hard. Maya is a newly-christened speech therapist working in a Duluth mental health facility. Her newest case is Lucas, a 19-year-old man who disappeared with his father into the Boundary Waters as a child and wasn’t seen again until he was caught robbing a store a few days ago. Since his capture he’s been combative and uncommunicative, but for some reason he’s willing to talk to Maya, who has her own baggage, including a mother who abandoned her. Perhaps she sees something in Lucas that makes her want to help him, even if that means breaking all the boundaries between clinician and patient. I say perhaps because I never quite understood any of the characters’ motivations. I also have some questions about how a man who, from age 9 to 19, interacted only with his father is able to interact in a normal way in an adult romantic relationship. You’d think that level of isolation would make a person weirder. See what I mean about everything falling apart under scrutiny? Anyway, if you’re willing to suspend your disbelief, this is a fun page-turner of a novel with some genuinely suspenseful scenes toward the end, and the rugged Boundary Waters setting is well drawn. With regards to Atria Books and Netgalley for the review copy.